Some of you may be aware of the Babylon Tower debacle. The story goes that at one point in the history the world had one common language as they all descended from one man. A part of the world’s people moved eastward and some settled on the plain of Shinar also called Babylonia. That is were the name Babylon comes from. 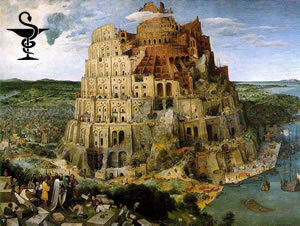 Babylonians had a goal in preventing any further scattering of the people over the earth to create a city where the achievements of a united and integrated people would be concentrated. Did you notice any similarities with the dreaded globalisation? With eyes on this big prize it was an invitation to come together to work on this great project. It is a very important come of the story. ‘Come, let us build ourselves a city, with a tower that reaches to the heavens, so that we may make a name for ourselves and not be scattered over the face of the whole earth’. Three incredible things are involved in this invitation: a vision for the city, a desire for a name and reputation, and a plan for a new movement. Being involved in the transition into the new Pharmacy Professional Leadership Body through the Local Practice Forum, I entertained the idea that we, pharmacists, are also a community of one common language and we are indeed trying to create a place where the achievements of a united and integrated people would be centralized. We have a vision of strong professional body that will support its members through strong network, we have the desire for our name and reputation to become well known to the public and to other healthcare professions and we have a plan how to build a great community with a voice and reason that influences the decision-makers at the very core of our democratic set-up. Since the Babylon Tower was never built it begs to ask, what happened to it? And more importantly, what happened to the people? Well, people started to speak in different tongues, never managed to agree on the process, battled over obscurities and eventually abandon the idea all together. Sorry, no divine intervention can be blamed on this one. It was people them self, so sure and confident in their abilities to “reach the heavens” that got them down to their knees. Complacency, my fellow pharmacists, is the barrier to achieving great things. Important contribution Kat, thank you. The sentiments raised in this article is very relevant to the changes going on in the way we practice pharmacy in the UK. The split between the regulatory and leadership arm is the case in point. I was very surprised (shocked, perhaps) when at a meeting held by the Southampton Branch of the RPSGB in November 2009, a straw poll of the attendees was taken as to how many members will join the new leadership body. Less than 30% of those attending said they would. I guess that informed the candidacy of Jaggy (link) in the recent Election to the English National Pharmacy Board. The important task ahead of those elected is to find ways of engaging with members with the desire to want to join the new professional body. Else it will be Babylon, mark 2.